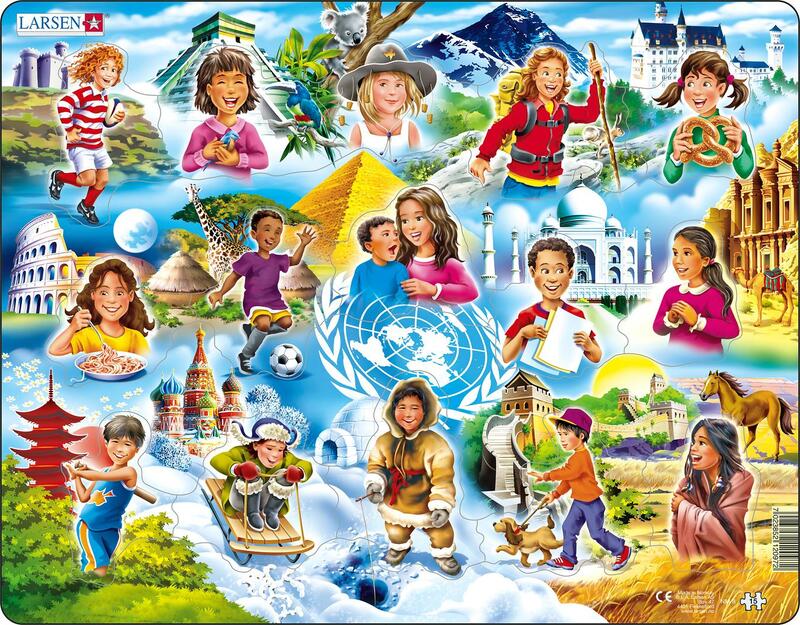 Learn about how different children from all parts of the world have fun, and the different hobbies they enjoy. The puzzle has 3 rows of pieces with 5 pieces in each row. For children who have not yet developed the motoric precision in their hands; each piece lies steadily within its own frame. Thus the children can place each piece without bumping into and moving the neighboring pieces away from their places.